Canine parasites and parasitic diseases offers a concise summary including distribution, epidemiology, lifecycle, morphology, clinical manifestations, diagnosis, prophylaxis and therapeutic measures on parasites affecting dogs. As dogs are carriers of many parasitic diseases that can infect humans, zoonotic potential of parasites is addressed. This book serves as a basis for parasitology for veterinary students and clinicians. Authorship is limited to veterinarians and parasite researchers who have direct and considerable clinical experience with diagnosis and treatment of the diseases and parasites described. 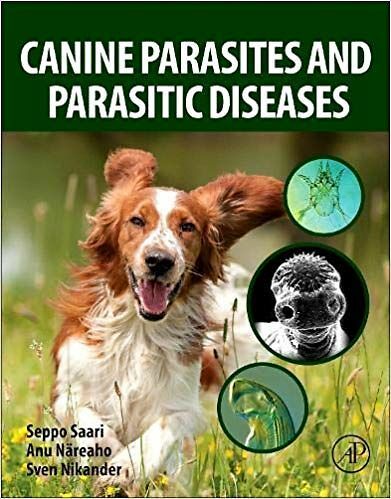 The chapters are presented in a consistent and logical format with extensive use of photographs, illustrations and information boxes, so veterinarians and students can quickly find answers to questions they have related to parasites and parasitic diseases in dogs.